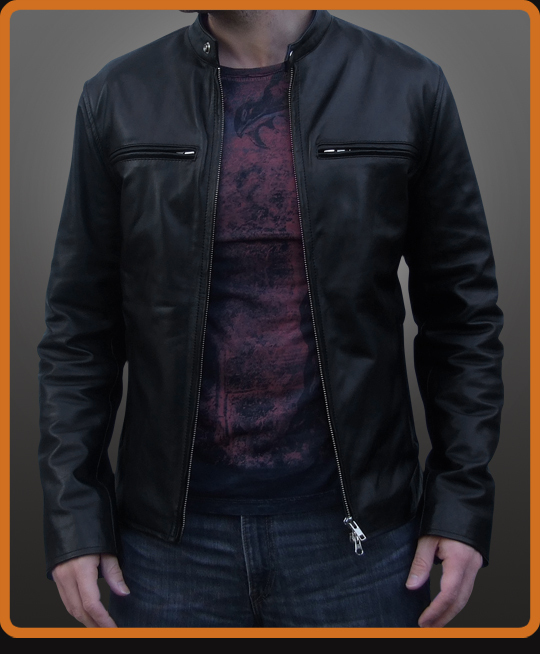 Original Cafe Racer style leather jacket. Pure class without any modern retro details. Details include concealed chest and lower front pockets. Rear shoulder pleats for easier movement. Stylish motorcycle jacket.